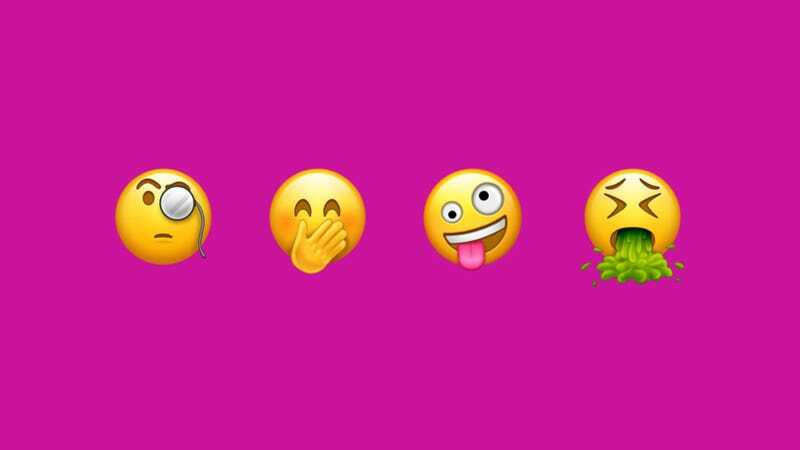 Remember earlier this year when we told you a bunch of new emoji were on the way? Well, they’ve finally arrived for the iPhone in the iOS 11.1 update. Just go to Settings > General > Software Update. The new emoji first showed up on Android Oreo back in August, but they looked less like the cute things featured in The Emoji Movie and more like weirdly drawn Simpsons characters. The Apple emoji, on the other hand, look so detailed you’d swear the T. rex could crawl right out of the screen. Have fun! Clarification: An earlier version of this story said that there were 69 new iPhone emoji. The official Apple release for iOS 11.1, however, says that there are “over 70.” It’s possible that Apple’s referring to different skin tones as different emoji or that Apple released its own emoji. Either way, the official Unicode 10.0 update included just 69 new emoji, so we have ourselves an emoji mystery on our hands.